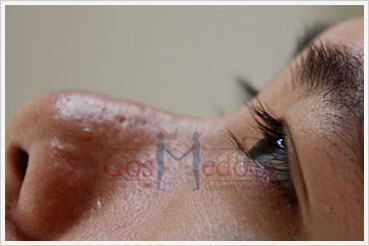 The focal points of the face could be defined as the eyes, mouth and nose. 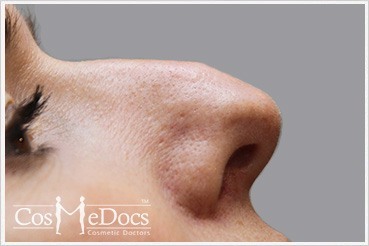 For many people the shape of their nose can impair their confidence level immensely. 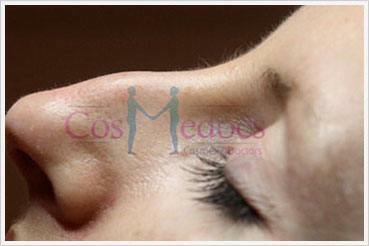 Until recently, the only solution for anyone looking for a nose reshaping was a surgical rhinoplasty. 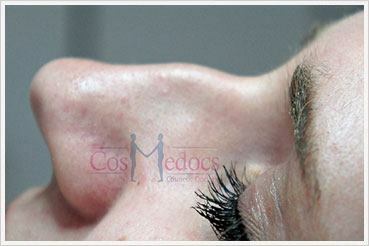 The procedure is more painful and requires the patient to spend time in the hospital. 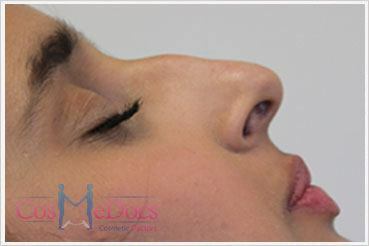 While surgical nose job remains the solution for major size and shape changes, the majority of the issues faced by patients pertain to moderate nose reshaping or recontouring with non-surgical nose job procedure also known as mini-rhinoplasty. 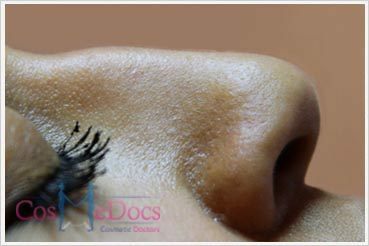 At Cosmedocs UK, we use two of safest dermal fillers treatments available in the market. 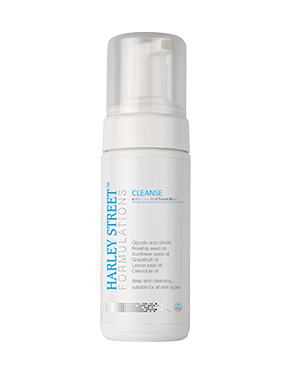 The first product is hyaluronic acid, whose effects last for 6 to 12 months. 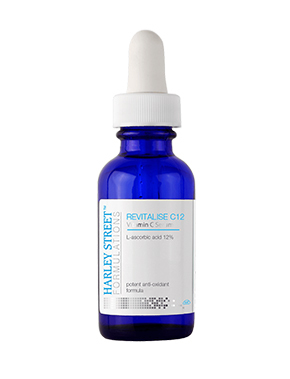 The second is Radiesse which lasts for 12 to 15 months. 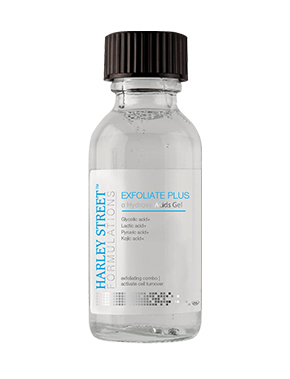 Both of these products have the following advantages. 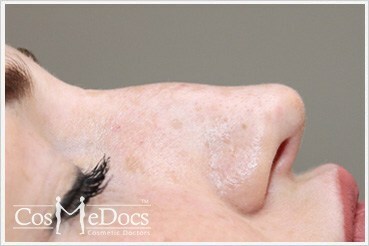 Dermal fillers are temporary. 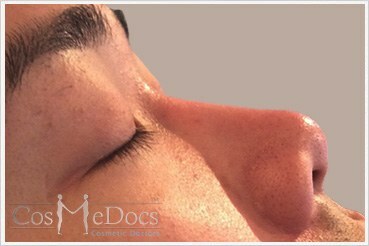 The patient and the doctor could opt for a new approach because of the temporary nature of the fillers. 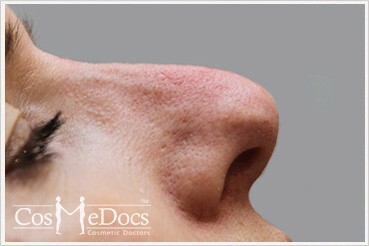 The changes that can be achieved by using dermal fillers are natural-looking. 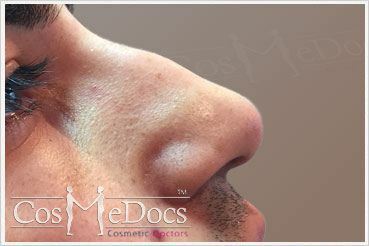 Dermal fillers are versatile having unique visco-elastic properties. 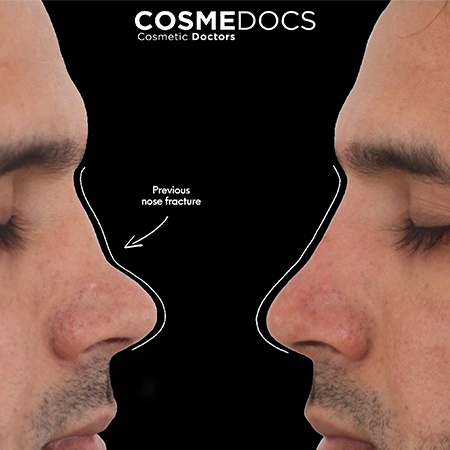 CosmeDocs are able to accomplish very specific improvements in nose reshaping that are simply not possible by surgical rhinoplasty. 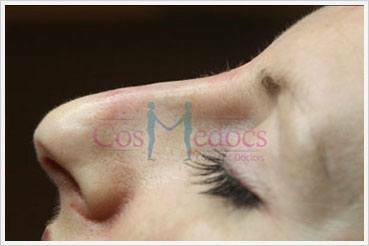 The patient is conscious during the procedure and can interact with their cosmetic doctor. 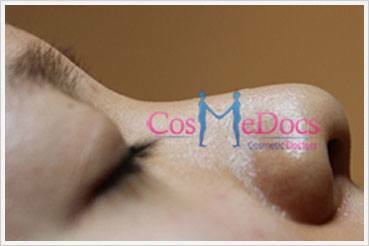 This provides an immense advantage to this procedure. 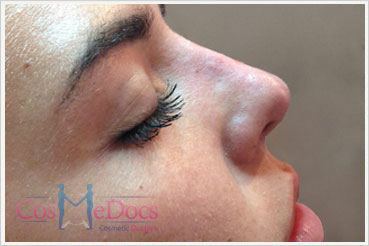 No downtime is required after the procedure and any minor bruising or redness could be covered by makeup. In any case, these conditions usually go away in three to four days. 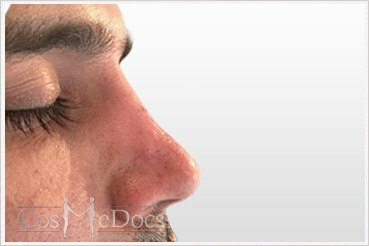 A typical session of non-surgical nose job procedure is preceded by a consultation with the doctor. 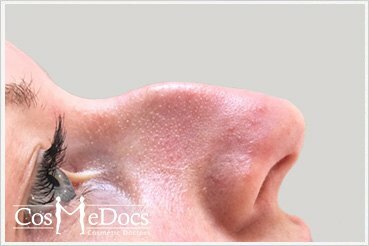 This is an essential step where the doctor examines the patient and tries to understand their expectation about the outcome of the procedure. 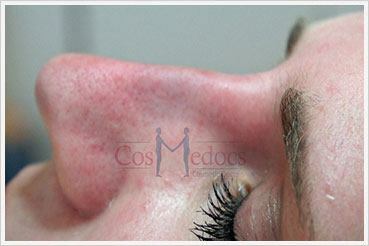 The consultation may include taking pictures from various angles and using them in the discussion of the treatment. 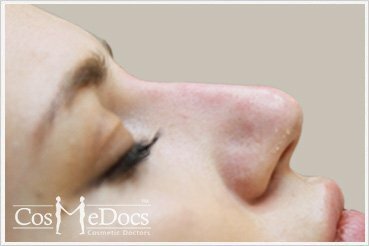 Our cosmetic doctors can provide expectant results to a very accurate degree by examining the different parameters of the nasal anatomy & overlying skin. 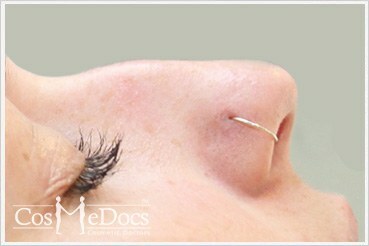 The next step is the non-surgical nose job procedure itself. 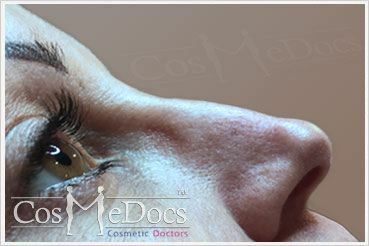 The average duration of the session is 30 minutes and the patient is conscious throughout the time. 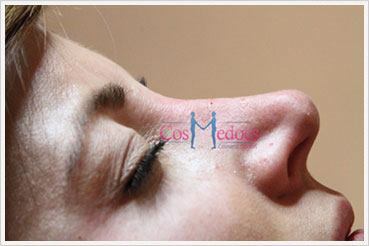 The dermal filler is injected at various points. 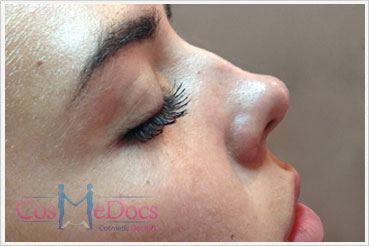 Most dermal fillers a have built in local anaesthetic called lidocaine that makes the injections very comfortable. The patient monitors the progress as they are provided a mirror and repeat photographs maybe taken from different angles that aid both the physician and patient. 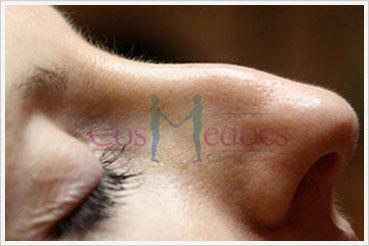 After the procedure of non-surgical nose job is complete, the patient is free to go without any stay in the clinic. If required, a follow up treatment may be arranged. 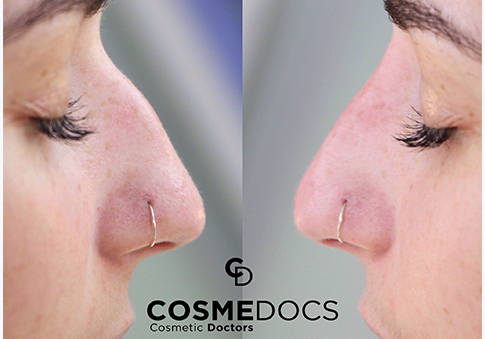 Following a significant nose fracture a few years earlier our patient opted to not have a surgical rhinoplasty. 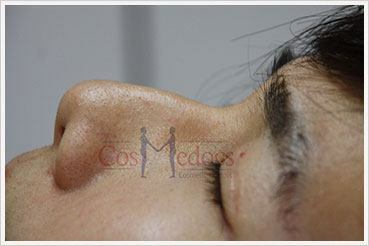 Instead he opted for a non surgical procedure with fillers our clinic. 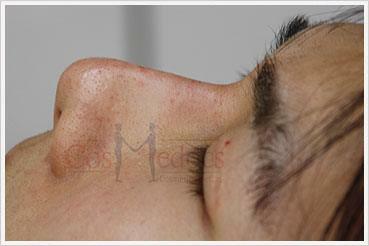 This was an extremely complex nose to work on but the outcome speaks for itself. 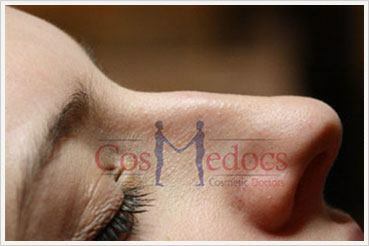 Contact CosmeDocs for non-surgical nose job treatment in London, Derby, Nottingham, Birmingham, Windsor and Portsmouth. 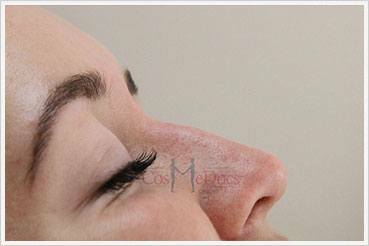 Is Breathing Affected After A Non Surgical Nose Job? 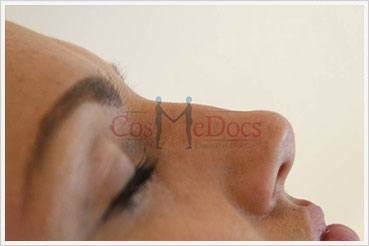 The procedure and fillers used should not change how you breathe. 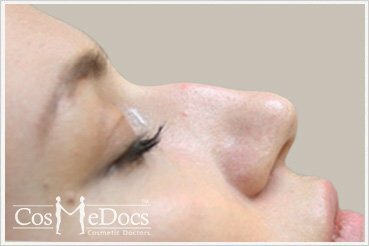 As the injections are placed in the skin, the nasal breathing passages should not be affected and should not worsen breathing. Will I Have To Wear Surgical Tape Or A Splint To Hold It In Place Afterwards? No supportive tape or splint is required afterwards as the bone and cartilage has not been altered. Will There Be Extensive Swelling And Bruising? 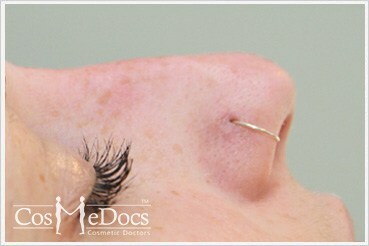 As a needle is used, there is always a risk of bruising. 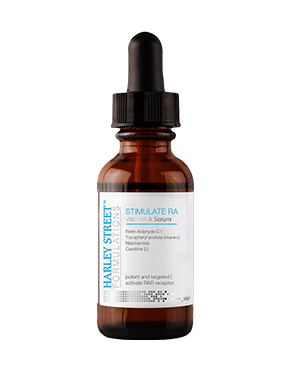 Additionally, there will be mild swelling afterwards. The time taken for this to settle varies between individuals but should be less than 2 weeks and in most cases resolves within a few days. Can I Wear Glasses Afterwards? 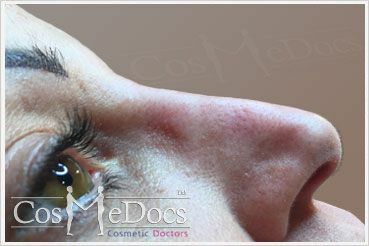 It is advisable to avoid wearing glasses or sunglasses afterwards if possible for up to 2 weeks. 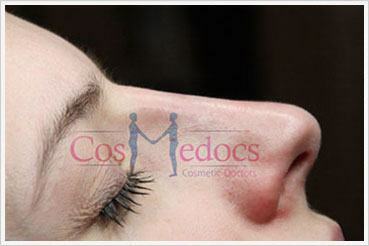 The bridge or the nose pads on glasses may press on the filler and alter its position. 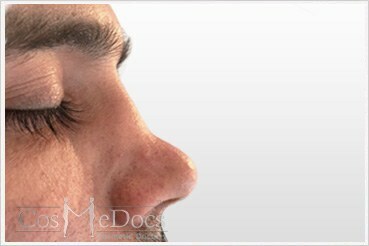 Additionally, there is a risk of glasses being ‘knocked’ and affecting the procedure results. It is possible to start light exercise the following day. 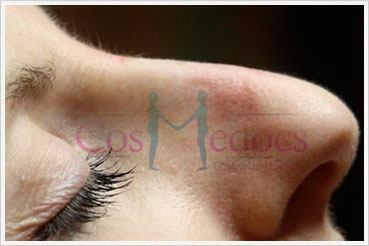 Contact sports, where there is a risk of your nose being knocked, should be avoided for up to 2 weeks. Yes. As there is no general anaesthetic and most patients feel well immediately afterwards, it is possible to drive home. 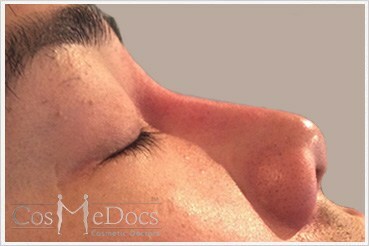 Migration of the filler can occur with aggressive massaging or pressure on the nose. 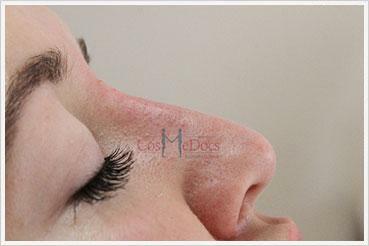 It is therefore advisable to avoid palpating the treatment area afterwards and to avoid any activities where there is a risk of the nose being inadvertently bumped. 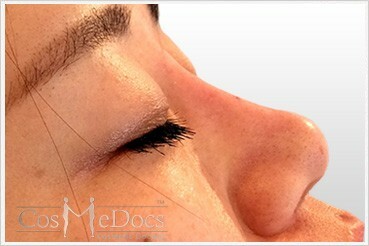 As there are no incisions, just a needle is used, it is very rare to have any scars following a non surgical nose job. Will I Have A Review Appointment? Although not essential, we are happy to review each case to monitor progress. Additionally, we offer supportive care on the phone and via emails if patients are unable to visit for a review appointment. 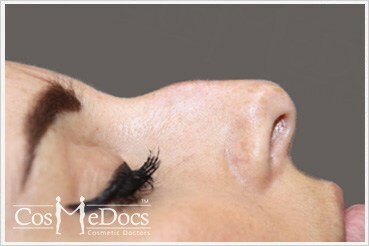 Can I Have A Permanent Non Surgical Nose Job? 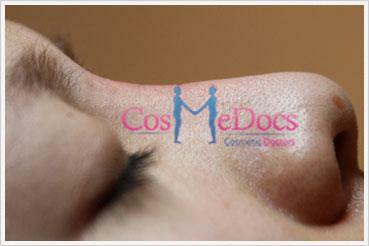 Yes you may consult with our highly experienced cosmetic surgeons regarding surgical rhinoplasty. 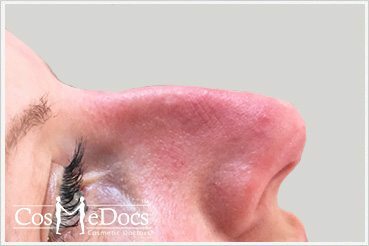 Since the advent of the non surgical nose job we have seen a dramatic decline in surgical rhinoplasty as the fillers we use give a long lasting, safe, natural results quickly with almost no downtime. 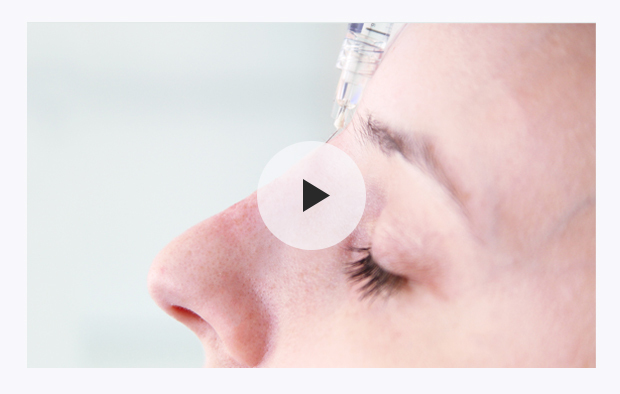 Radiesse has a longer duration of action than hyaluronic acid and the practitioner will discuss what options are available and what is best recommended for each individual. 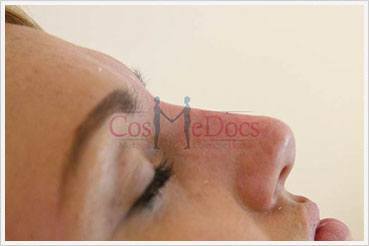 How Do I Know If I Would Be Suitable For A Non Surgical Non Job? 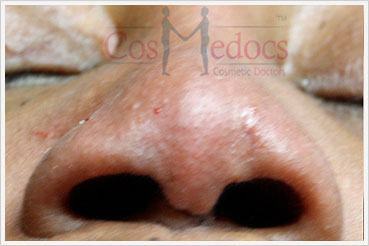 Do not require any functional nasal improvements such as deviated/crooked septum or swollen turbinates. 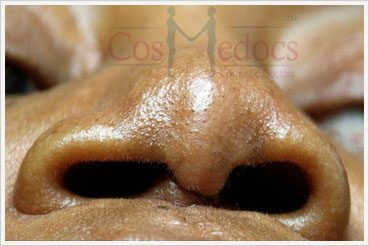 What Noses Are Not Suitable And May Need To Have Surgery? 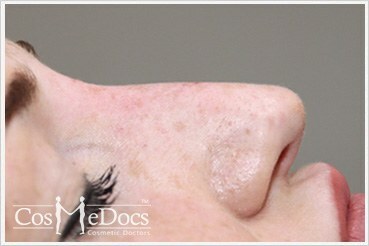 Nostrils too ‘flared’ or wide. 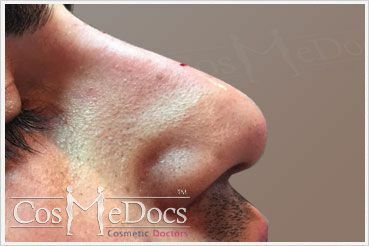 Of note, although it is not possible to reduce the width of the nose (tip/bridge) with a non surgical nose job, it may be possible to soften the appearance by increasing the height using fillers. The options will be discussed with our practitioners.